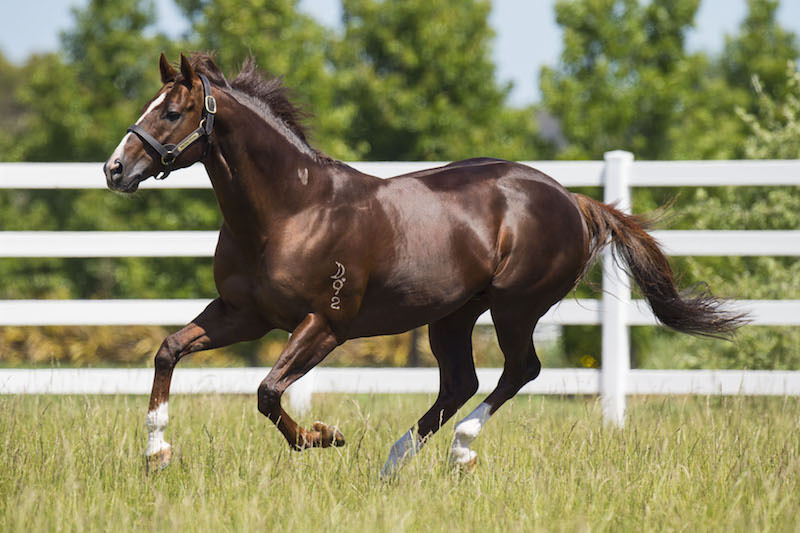 Proven Redoute’s Choice sire Al Samer has returned to Victoria and will continue his stud career at Ridgeview Park. The 13 year-old stallion will stand for a $2,200 (inc gst) service fee at Muskerry East. Al Samer was based at Emirates Park in Diggers Rest before transferring to Queensland. “I was talking to Emirates Park’s general manager Bryan Carlson and jumped at the chance when he mentioned the horse was available,” Ridgeview Park owner Phil Sloane said. Ridgeview Park welcomed Al Samer back to Victoria following the recent deaths of old warrior Bianconi and young Redoute’s Choice sire Dr Doute’s. “Losing two stallions within a month was a body-blow, but you’ve got to get up and keep going,” Sloane explained. Al Samer was a Group 3 winner of the Black Opal Stakes at two and he trained on to claim the Listed Darby Munro Stakes as a three year-old. He sired Mr Chard (winer of the Group 3 VRC Carbine Club Stakes) & Le Remas (winner of the Listed MRC John Dillion Stakes) in his first crop and followed up with dual black type winning 2yo Underestimation (winner of Listed St Albans Stakes and Listed VRC Anzac Day Stakes). Al Samer’s early crops also included the Hong Kong trained winners Tour De Force (trained by John Size) with 7 wins and AU$1.4 million in prizemoney, Keen Tactics (Almond Lee), Spicy Sam (David Ferraris), Haymaker (Francis Lui) and Eastern Promise (Peter Ng). This Saturday, the very promising Victorian bred Berisha, a son of Al Samer, will line up in the Listed Mornington Cup with a good chance. He is already stakes placed as a three-year-old. “All his stakes horses have won in Melbourne and those overseas winners were bred in Victoria,” Sloane said. For further details, please contact Phil Sloane on 0488 525 063 or go to Ridgeview Park’s website. Bunyip’s Ampulla Lodge has won the inaugural Thoroughbred Breeders Victoria (TBV) VOBIS vendors prize at the 2016 Inglis Premier Sale (Session 1). With an average of $210,000 across the three VOBIS nominated lots it sold, Ampulla lead the way followed by Nagambie’s Gilgai Farm which had an average of $183,889 for 9 VOBIS lots. The prize from TBV is $1,000 and is to be used by Ampulla Lodge’s staff for a dinner or lunch to celebrate the achievement. 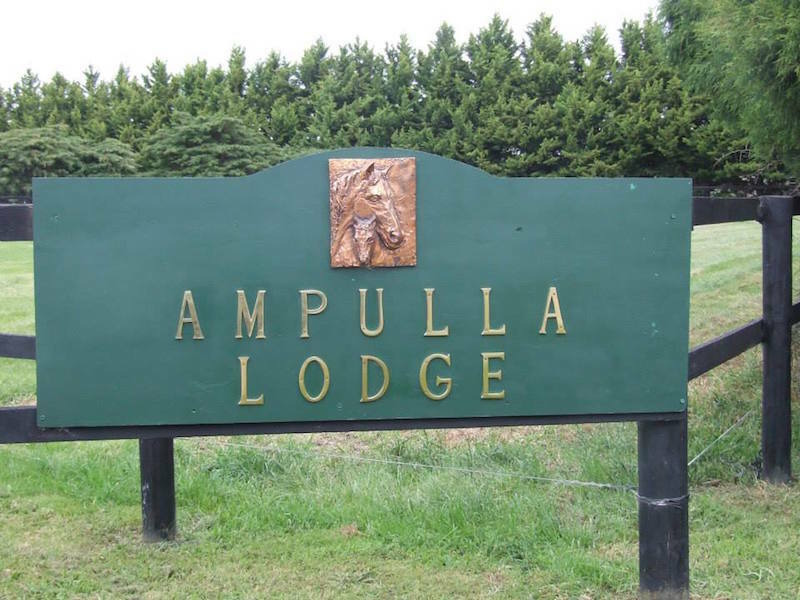 Ampulla Lodge specialises in pinhooking weanlings – which are then reared at its farm in West Gippsland and presented at yearling sales across the country. 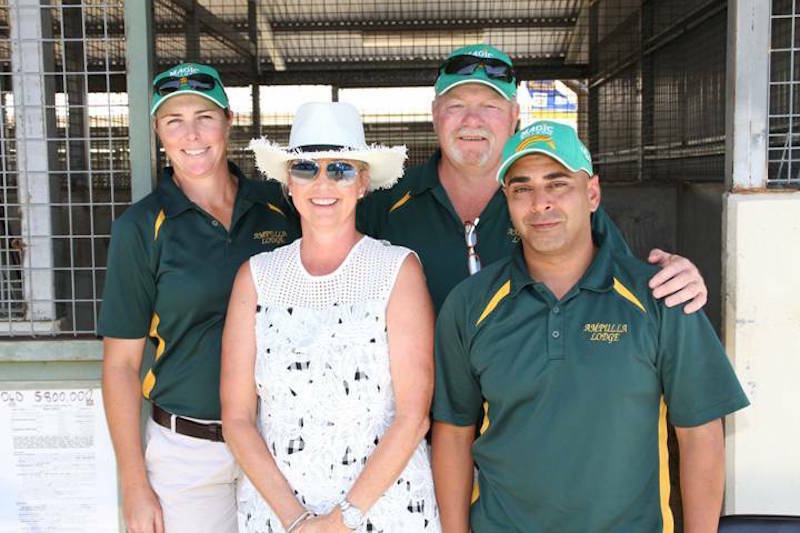 Ampulla proprietors Steve and Ceri Jostlear have had a whirlwind and breakthrough yearling sales season starting with Magic Millions on the Gold Coast. At the January sale, they ranked second by vendor Book 1 averages with an average of $440,000 – an extraordinary result against the ‘big boys’ of Australian breeding. Their sales included $800,000 for a Makybe bred Exceed and Excel colt. “We have had an exceptional sales year with outstanding results starting at Magic Millions and now at Inglis Melbourne Premier. “Steve and I believe our results are owed to not only our strict selection process of weanlings, but also the dedicated staff we have on farm as well as our fantastic sales staff. We look forward to rewarding them with this prize. The performance of Ampulla Lodge graduates on the track is no doubt one reason for the farm’s sales success. “From our last six crops of racing age, we have presented 62 yearlings for sale,” Steve Jostlear said. 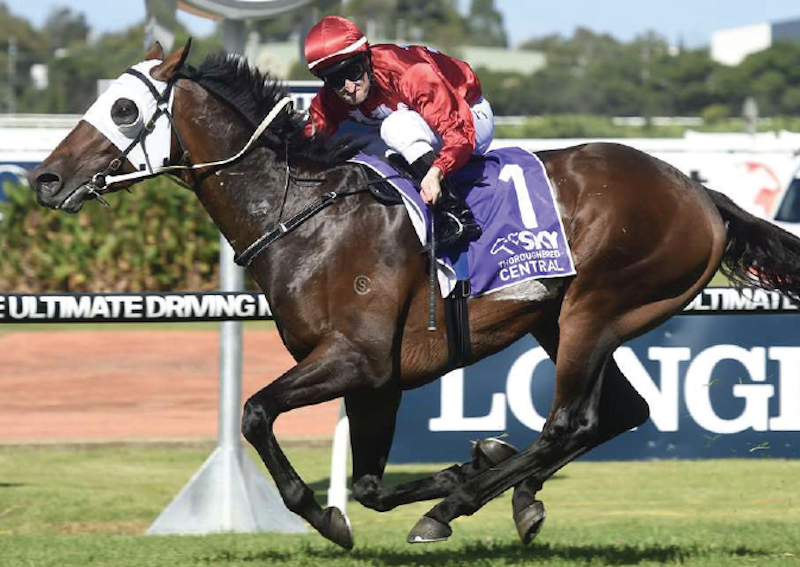 Group 1 goals are firmly on the agenda now for two progeny of Eliza Park sire Magnus following impressive wins on the weekend. 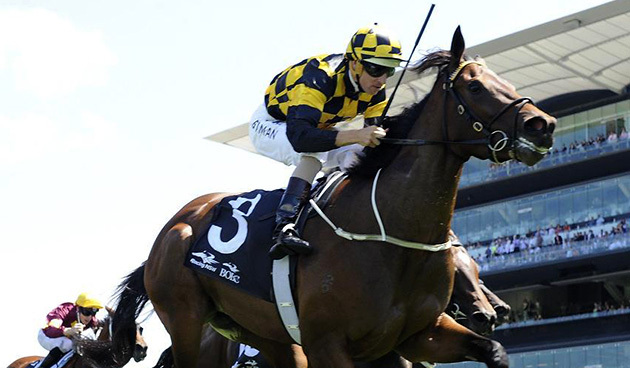 Group 1 bound Malaguerra, winner of the Group 2 Star Kingdom Stakes (1200m) at Rosehill and Miss Promiscuity, winner of the Geoff Murphy Handicap (1100m) at Caulfield, were two of six winners by Magnus on Easter Saturday. Other progeny of Magnus winning on Saturday were Miss Wynette at Caulfield; Salaqua at Ararat; and McKenna and Purple Passage at Alice Springs. Magnus now has 79 winners for the season which means he is an odds-on favourite to beat the 94 winners he had last season. He is now 18th on the national sires table by earnings and 12th by winners. At Rosehill on Saturday, Malaguerra looked to be pocketed away on the fence in the straight, but eventually gained a gap and raced impressively through to record his fourth consecutive win. He defeated the David Brideoake Victorian bred Target In Sight with Coolring hanging on for third. Trainers Lee and Anthony Freedman have aimed Malaguerra towards the Group 1 Stradbroke in Brisbane all along the way this preparation, but he may get a chance at the highest level earlier than that. “He is a bulldog and once he gets at them he gets his head down and lowers himself” Lee said. “I’ll probably give him a run at the end of The Championships. I might even run him in the TJ (Smith Stakes) because he’s a horse in form. Malaguerra is probably the best performing graduate out of Inglis’ VOBIS Gold Yearling sale. After being sold for $32,000, he now has 9 wins and 2 seconds from 16 starts for earnings of $432,100. He was bred by the Armanasco family’s Sandown Lodge Stud and sold through Ballarto Lodge’s draft. He is out of the the now 26 year old Bletchingly mare Tennessee Morn whose previous best had been the Listed stakes-winner Tennessee Midnight (Danehill), the dam of Group 1 Coolmore Classic winner Aloha (Encosta de Lago) and the dam of Group II winner My Emotion (Savabeel). Tennessee Morn has not had a foal since the 3yo Wanted colt Tennessee Outlaw but was covered by Magnus again last breeding season. The Hayes/Dabernig trained Miss Promiscuity will be set for the Group 1 Robert Sangster Stakes at Morphetville in May. Already a black-type winner, she is bred and raced by Magnus’ breeder and owner, Rob Crabtree. She is out of the Distant Music mare Zipstream who currently has a full brother at foot. Miss Promiscuity has now won 6 races for total prizemoney of $424,820. Top quality Victorian sired Street Boss 3yo filly Petits Filou returned a winner for Ciaron Maher at Caulfield. She is now 5 wins from 6 starts (her only failure was in the Group 1 Moir Stakes) and is being aimed at the Group 1 Sangster Stakes in Adelaide. 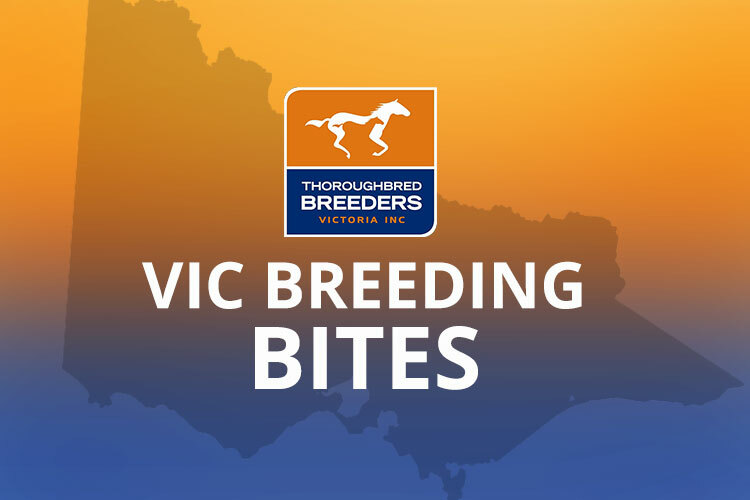 Thames Court delivered another Group winner for the David Brideoake racing/breeding operation when she won the Group 3 Alexandra Stakes at Moonee Valley on Thursday night. Doom N Boom scored for Team Corstens and Spicer Thoroughbreds at Terang last week. By Darley’s Victorian sire Domesday; he is a sibling to Group 1 winning Manawanui. It is now two wins in a row for Chat to Maggie at Terang. She is a homebred for part owner Pat Reid and many Terang locals. Bought for just $300, she is by Carin Park sire Chatline (by Royal Academy) . Chatline is a sibling to multiple Group 1 winning racehorse and Group 1 producing sire Snippets. 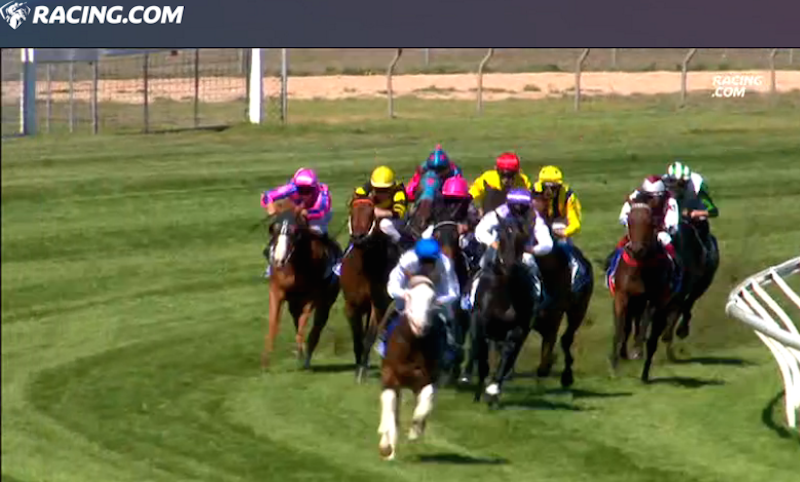 Great to see a win by Darren Weir trained Topography on Cup Day at Stawell. The Churchill Downs gelding was bred by the Goulburn Valley Tafe’s National Centre for Equine Education based at Wangaratta. Robbie Griffiths and connections cleaned up the $30,000 in Super VOBIS and VOBIS Gold bonuses when Ariaz won race 2 at Sandown on Easter Monday. The Charge Forward 3yo filly is a home bred for Gerry Ryan’s Limerick Lane Thoroughbreds. Former Racing Victoria and bloodstock agent Rob Roulston got a win for his syndicate members when 3yo Authorised colt Approved Anger won in his 3rd start at Sandown. Trained by Darren Weir, he was bred by Hillside of Nagambie. Giving Ballarat trainer Brad Cole his first city win in 12 years was Victorian bred Stella the Boss after she saluted at Sandown on Easter Monday. It was the second win in a row for the daughter of Riverbank Farm sire Redente. A Victorian bred horse that many will be keen to see progress to the track is the now Ciaron Maher trained Brigite. Being out of Gilgai Farm’s famous dam Helsinge, she is of course a sibling to Black Caviar and All Too Hard. Previously trained by Peter Moody, the Gilgai owned filly is by Casino Prince and performed well in a jump out at Caulfield last Tuesday. Rangal Park bred Scratchy Lass won the Listed Oakbank Stakes on Saturday. The 4yo mare is by one time shuttle sire to Victoria, US Ranger. She is out of Seven Year Itch. Coincidentally, the Pat Cannon trained Punt Club (by Equiano), also out of Seven Year Itch, broke his maiden at Wangaratta on Sunday. 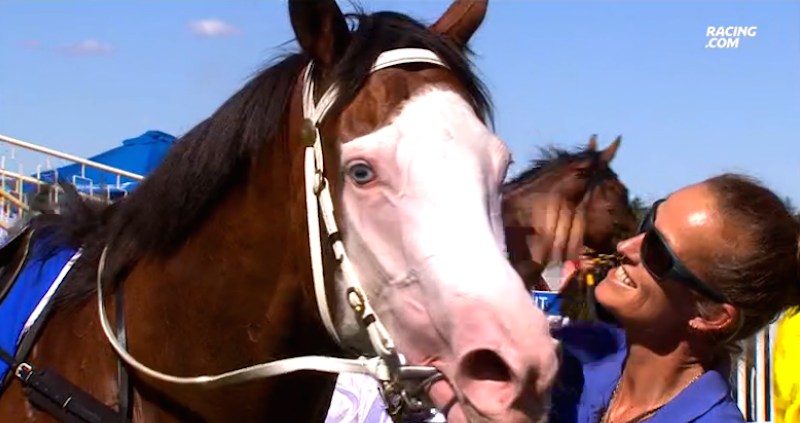 Two-year-old colt Cayman Daze won the opening race of the Oakbank Easter Carnival. That makes 2 wins from 3 now for the son of Darley’s 1st crop sire Skilled. Burnewang North bred Reckless Abandon made it two wins in a row when winning at Doomben on the weekend for trainer Liam Birchley. 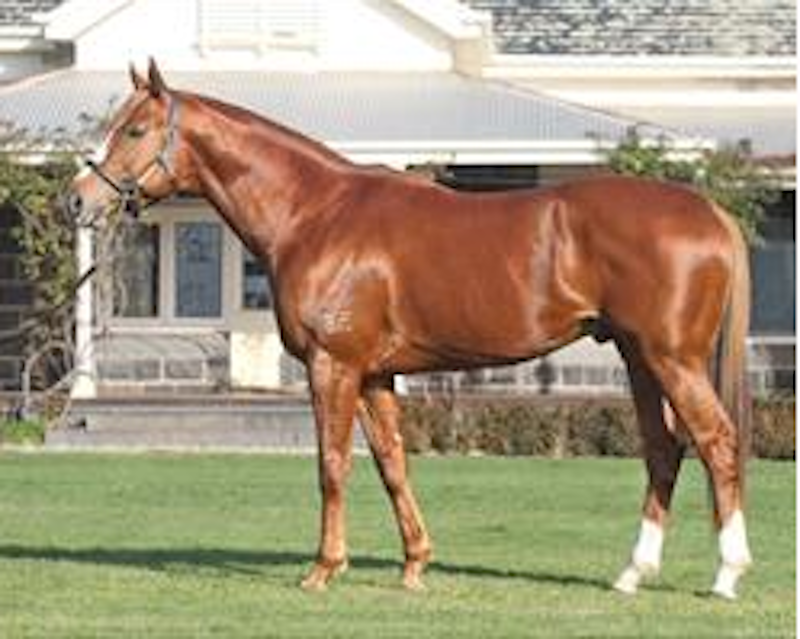 By Nicconi, the 5yo was sold at Magic Millions’ Gold Coast January Sale for $150,000. The unbeaten run of Victorian bred, Team Snowden trained trained Suspense continues after four starts. 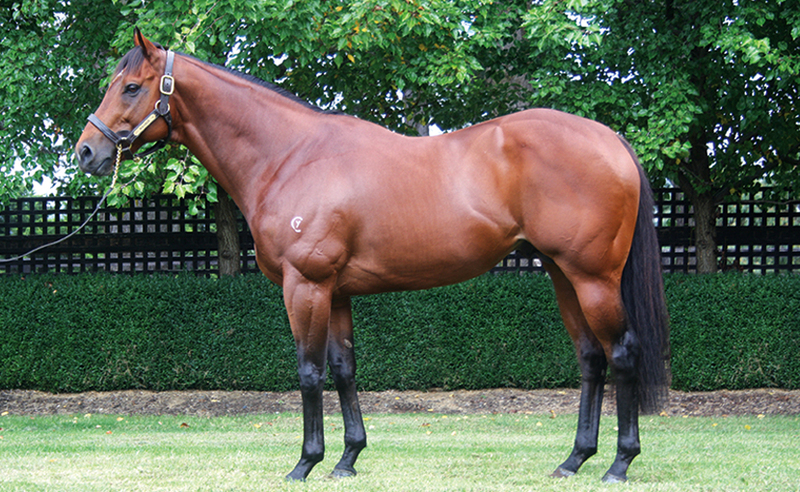 He is quite uniquely bred being a half brother to Group 1 winning Mental and by the former and relatively low profile Victorian sire Keano (Salamander Park, Merton). Two winners for Rosemont Stud sire Starspangledbanner on Easter Saturday. California Star broke her maiden at Coffs Harbour while Lady Pinot won at Tauherenikau in New Zealand. 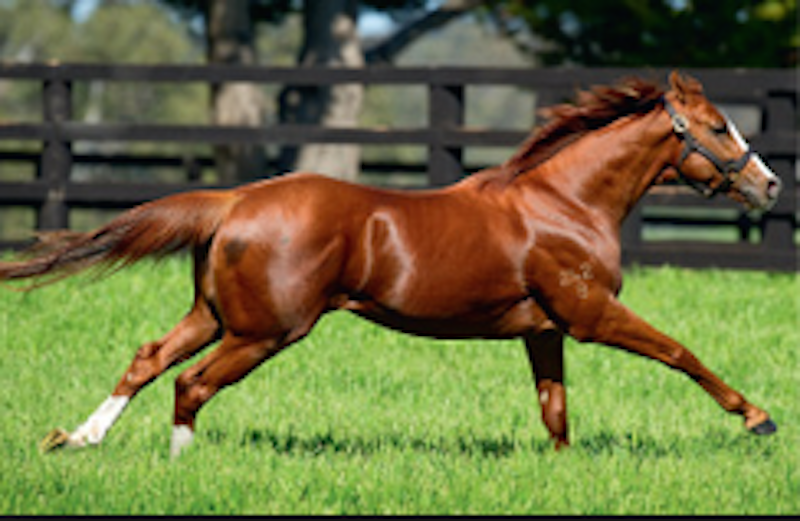 As of Monday evening, Woodside Park’s leading sire Written Tycoon had 99 winners for the season with the 100th remaining elusive over the past three days. In the past five seasons, the only Victorian sires to achieve 100 or more winners have been Written Tycoon in 2015 and Eliza Park International’s multiple Victorian champion sire Bel Esprit. It is now five wins in a row now for the Lauriston Thoroughbred Farm bred Finke after another victory at Alice Springs on the weekend. His Blue Gum Farm sire Turffontein has had quite a number of winners in the past two weeks. There were wins last week at the Singapore races to progeny of Victorian sires Danerich (Rangal Park), Street Boss (Darley Victoria) & Artie Schiller (Emirates Park Victoria). This included Dragon King, a 6yo son of Victorian sire Danerich also bred at Rangal Park. Hong Kong trained Gun Pit, bred by Barnawartha’s Kellie and Tony Smeaton, unfortunately couldn’t match some of the world’s very best when lining up in the US$10 million Group 1 Dubai World Cup on Saturday. The race was run by United States superstar galloper California Chrome. On Monday at Hong Kong, the Gilgai Farm bred Tonyboy scored his second win in a row at Sha Tin. Runner up was the Makybe bred Mr Stunning. Meanwhile Victorian sired Rapper Dragon (by Darley’s Street Boss) also won on the same night. Known as Street Rapper in Australia he was then trained to a Group 1 placing by Gai Waterhouse. Wangaratta Cup winner Entre Nous (by King of Prussia) has been as consistent as clockwork in the last twelve months for trainer Gerald Egan and owner-breeder Frank Elkington of Wodonga. Sunday’s victory in the $80,000 (rescheduled) Wangaratta Cup was his 6th win since claiming a Benchmark 64 at Echuca this time last year. His only unplaced run in that time was a close fourth in November’s Wodonga Cup. Being Victorian bred and signed up to VOBIS Gold, the connections of Entre Nous also collected the winner’s share of a $20,000 VOBIS Gold bonus. Stable apprentice Mitch Aitken settled Entre Nous in fourth spot and then overhauled last-start Albury Mile winner Ashdam to score by over a length. “He drew wide of the middle so we left it up to Mitch and he did a great job,” Egan said. “We knew the horse was above average after Wodonga and we’re over the moon! Entre Nous is the first of three foals from Madam Delia (Demus) that are sired by Greta West Stud’s King Of Prussia. The mare won 8 races including the 2009 Towong Cup for Elkington. Her second foal Magic Monarch won a Wodonga maiden on Boxing Day and she also has a filly on the ground from September. King Of Prussia (Anabaa) is one of the stalwarts of the Victorian industry having retired to Greta West in 2003. His 3yo filly Prussian Vixen just missed completing a hat-trick at Moonee Valley on March 18 but can bounce back in the Super VOBIS 3YO Hcp (1200m) at Mornington this Saturday. Darley Victoria’s first-season sire Helmet didn’t have to wait long for his first European winner and two of them arrived in quick succession in England on Saturday. The Mark Johnston trained stablemates Boater and Chupalla claimed both divisions of Kempton’s Fillies Maiden over 1000 metres. First to strike was Darley homebred Boater. Despite missing the kick, she was soon on the lead and travelling strongly before quickening right away in the straight to win by 7 lengths. Her dam Cercle d’Amour (Storm Cat) is a half-sister to Norfolk Stakes winner Warm Heart. Half-an-hour later and in a carbon copy of the first division, Chupalla never saw another rival when clearing out to win by 6 lengths in a time faster than the first division. Again bred by Darley, she is out of Dubai Sunrise (Seeking The Gold) who is a full-sister to Champion Dubai Millennium. Helmet (Exceed And Excel) was a dual Group 1 winning juvenile and he trained on to win the Group 1 Caulfield Guineas in record time. He stands at Dalham Hall Stud in Newmarket for 8,000 pounds (AUD 15,030) and his Darley Victoria fee last year was $33,000 (inc gst). There have been 9 starters among his first southern crop to date headed by Perth placegetter Chin Strap. 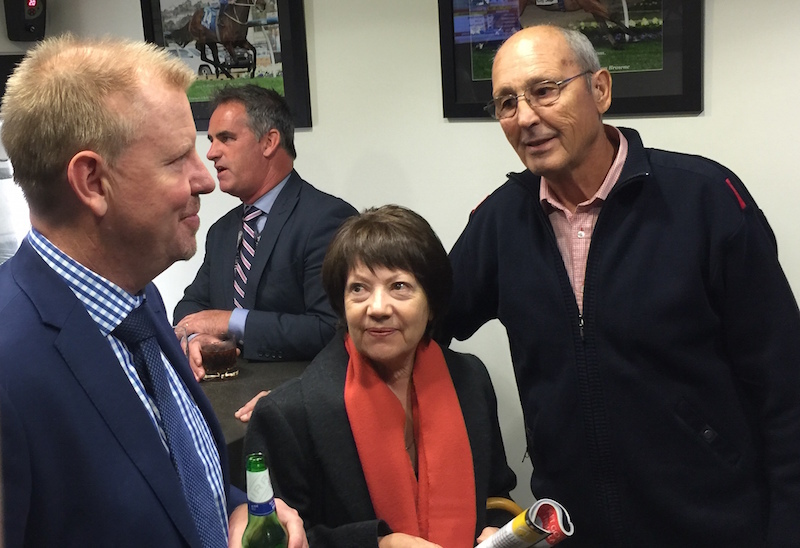 Those were the words of now retired Caulfield trainer Peter Moody following Flamberge’s triumph in the Group 1 William Reid Stakes at Moonee Valley last night. It was indeed the third victory at the highest level for the Contract Racing (David and Jenny Moodie) home-bred gelding having won the Goodwood Handicap last season and the Oakleigh Plate earlier this year. It was also a tremendously fitting way for racing to send off one of its most successful and popular trainers of the modern era. Peter Moody has trained no less than seven Victorian bred Group 1 winners. They include the world champion Black Caviar along with Flamberge, Magnus, Reward for Effort, Mid Summer Music, Riva San and Testafiable. 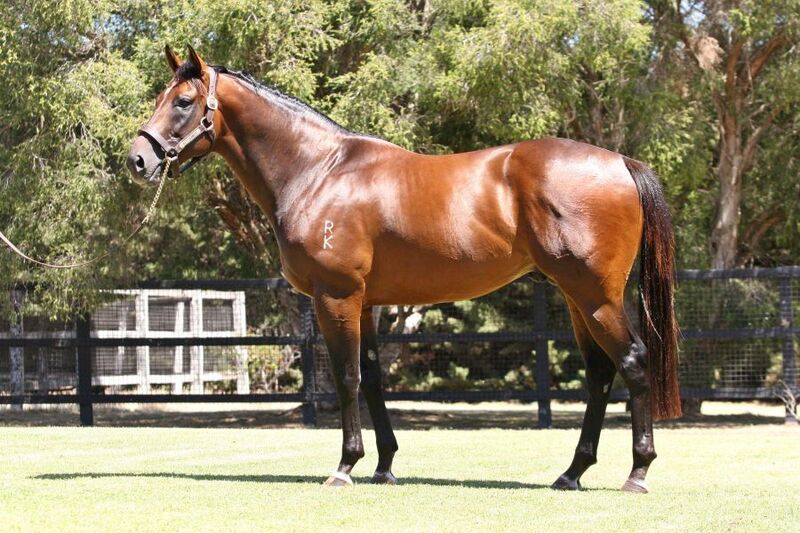 Two of these, Magnus and Reward for Effort, are both successful sires standing in Victoria. For the highly recognisable ‘fluoro’ green, purple and gold colours of the Moodie family, Moody has bred a bevy of black type winners including Solicit, Kinglike and Royal Haunt among others. In narrowly edging out Holler in the William Reid Stakes, Flamberge now has 11 wins and 9 minor placings from his 32 starts and prizemoney of more than $1.7 million. “He’s a remarkable little horse, it’s no secret he grew on us over a period of time,” Moody said after the race. If you asked me to name my best 20 horses he probably wouldn’t be amongst them – but he’s won three Group Ones. The Macedon Ranges farm of the Moodies bred him from their multiple stakes winning mare Razor Blade (Blazing Sword). She has also foaled the Flemington stakes winners Curtana (Exceed And Excel) and Sunburnt Land (Scenic) along with the Ellerton-Zahra trained 3yo Durendal. Razor Blade has a yearling colt by Darley’s Helmet and was covered by Redoute’s Choice last season. The Moodies have quite a history with the family. Razor Blade is a daughter of Blazing Sword who won two stakes races at Flemington in days when Contract Racing’s colours were carried by Harry White. Blazing Sword (Marscay) retired to stand at the Moodie’s Craigielea Stud at Kilmore and sired Contract Racing mare Arctic Scent, winner of the 1996 Caulfield Cup. 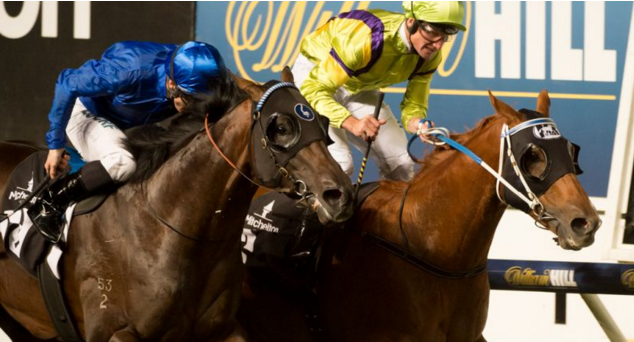 A Victorian bred horse will be shooting for a winning share of US$10 million on Saturday night when he lines up in the Dubai World Cup. Gun Pit, trained in Hong Kong by Caspar Fownes, will be shooting for international Group 1 glory and his breeders Kellie and Tony Smeaton are very excited. There is quite some story in the five and a half years leading up to this moment. And it starts at the Barnawartha (close to Wodonga) farm of the Smeatons. Tony Smeatons has been interested and involved in racing all of his life and now has a broodmare and cattle farm near the Murray River where he and Kellie keep about six mares including Gun Pit’s dam Magic Tori. Magic Tori (Ali-Royal (Ire) – Golden Gossamer) was a good performer for Cranbourne trainer Greg Eurell, winning in the city and amassing prizemoney of $141,645. According to her breeder Tony, she had a dicky knee requiring her to largely stick to soft tracks even though she had a liking for dry tracks. It meant she couldn’t quite show her full talent on the track and the much-demanded black-type was not achieved. But Tony fell in love with the mare just on her race record alone and snapped her up. A mating to Masterpiece produced the multiple country winner Shibby who also was prone to a weak knee (and who was eventually retired to the Smeaton’s breeding operation where she still lives). A year later, Magic Tori was covered by the then “unfashionable” Dubawi. Unlike his current halcyon days at Darley’s Newmarket breeding barn, Dubawi was less favoured by Australian breeders and his offspring similarly so in the sale ring. 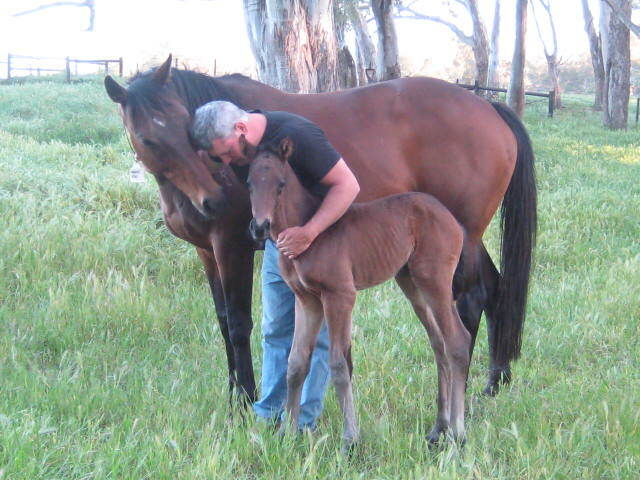 Gun Pit was foaled down at Gary Mudgway’s Grange Thoroughbreds and, according to Tony, he was different from the other five or six yearlings of his that year. “He was outstanding from day dot,” Tony says. The Dubawi colt was taken to the 2012 Inglis Premier Yearling Sale where he was purchased Mark Treweek of Lyndhurst Farm in New Zealand for a modest $65,000. In Kiwi land, the youngster was prepared by Lyndhurst for the Ready to Run Sale. Tony says he continued to outperform his peers even bucking the jockey in the breeze up and confounding onlookers with his natural speed. This certainly was reflected at the Ready to Run sale of 2012 when he was knocked down to Michael Stedman Bloodstock – buying for Hong Kong owner Cheng Chung Wah. 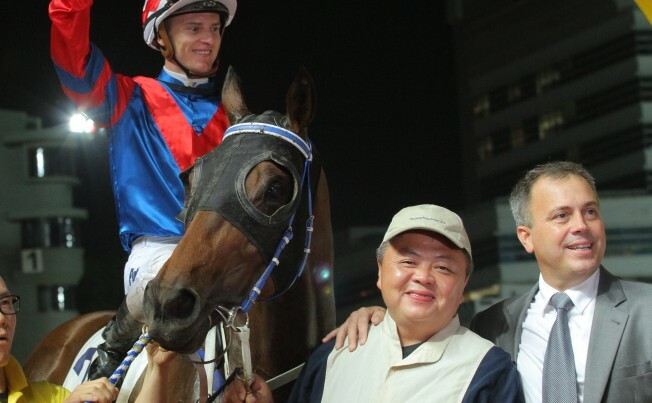 In Hong Kong, Gun Pit has now won 8 races in 21 starts for total prizemoney of nearly $1.5 million. At Dubai’s Meydan racecourse three weeks ago, Gun Pit demonstrated that he has acclimatised to his temporary surroundings with a brave runners-up effort in the US$400,000 Group 1 Al Maktoum Challenge (2000m dirt). Gun Pit may not have the international credentials of some of his rivals in the Dubai World Cup, such as California Chrome and Frosted, but he has a few things in his favour. Firstly, his trainer got the luck of the draw and was afforded the chance to pick any barrier. He opted for a safe one in barrier 3. Secondly, Gun Pit likes the dirt surface having won seven from seven on dirt at Sha Tin. Added to that was his Group 1 second at Dubai on the surface three weeks ago. Finally, and perhaps most importantly, he has, arguably, the world’s best jockey on board, Joao Moreira. “I’d like to think he has come on nicely since his first run here and I have been happy with his work here,” said Fownes in Dubai this week. Tony Smeaton said he and Kellie were thinking seriously about travelling to Dubai to see Gun Pit race live for the first time, but farm duties including calving cows kept them at home. 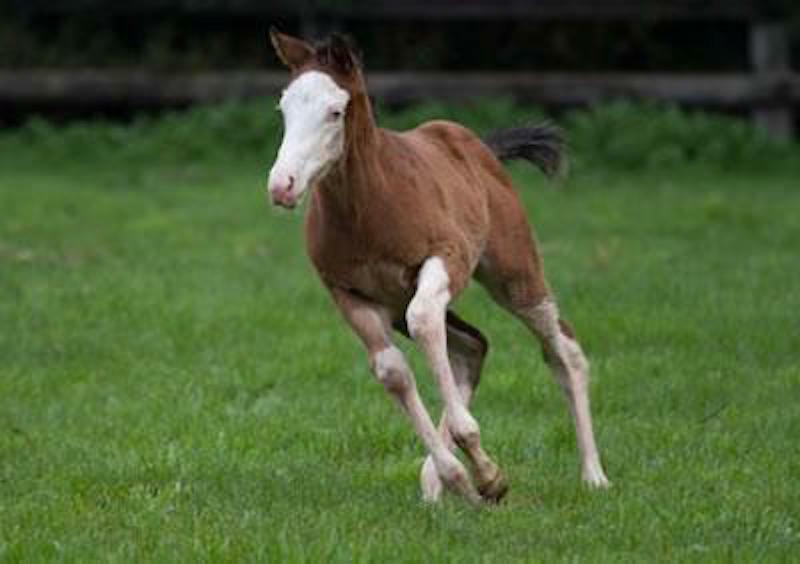 Let’s hope for their sake – and for the Victorian breeding industry’s – that staying up late to watch it on television can prove a lucky charm. A win would certainly designate Gun Pit as one of North East Victoria’s best ever equine exports. Broodmare Magic Tori has had it tough since foaling down Gun Pit. She has either missed or had foals euthanased in three of the past four seasons. Thankfully, a Stryker filly named Three Strykes has made it to the track and shows promise. Trained by Simon Morrish at Ballarat, the now three-year-old filly got her maiden win at Donald earlier this month. 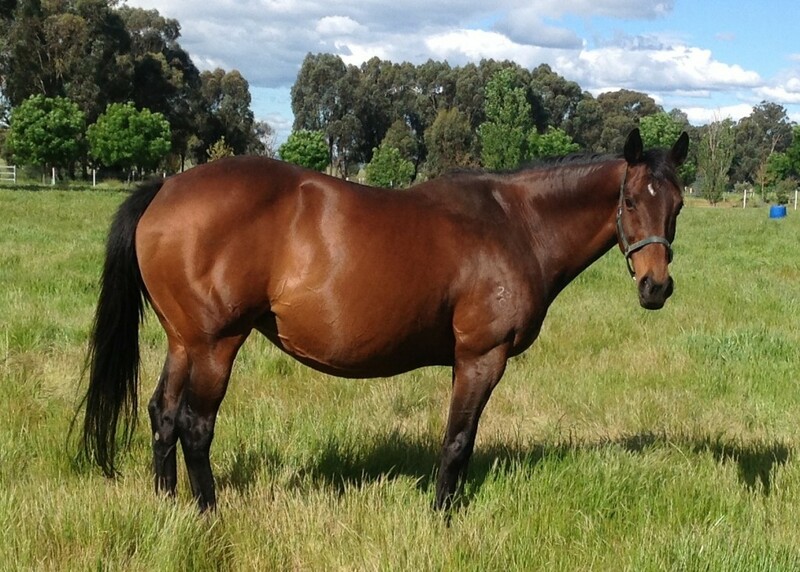 Magic Tori is currently in foal to Coolmore’s Rubick (as pictured below at Barnawartha). 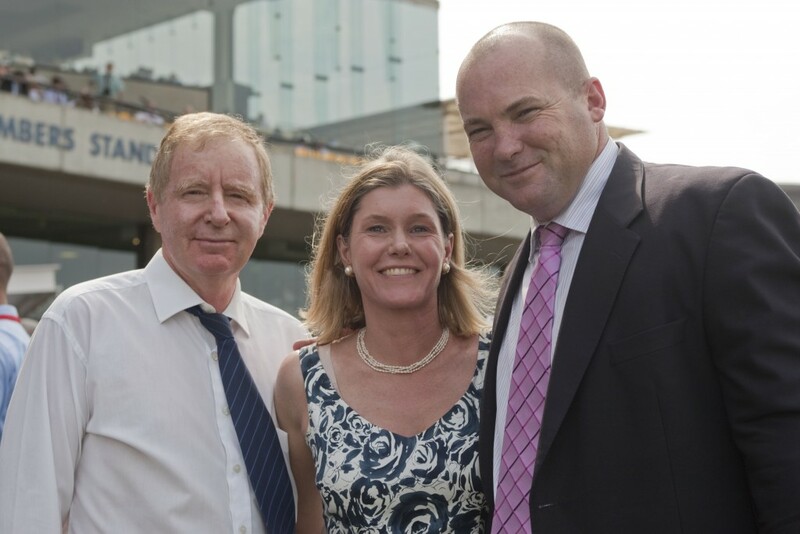 Mornington trainer David Brideoake is not only a Group 1 winning trainer, he has now also joined the ranks of Group 1 winning breeders following Griante’s triumph in the Galaxy at Rosehill. ‘Gabby’ as she is known around the Moorooduc stable of Brideoake Racing stormed home to win the $700,000 Group 1 sprinting feature over 1100 metres. “She’s a very good mare and everything’s gone to plan…we’ve seen a new side of this mare over the last twelve months where she can actually sit back and finish on and she’s really done it today,” Brideoake said. Griante takes her overall record to 7 wins and 8 placings from 27 starts for earnings of in excess of $1 million now. She is expected to seek further Group 1 wins in Adelaide during the May period of feature racing. Griante is the second foal of the Strategic mare Grand Strategy who is a half-sister to Listed VRC Myer Spring Fashion Stakes winner Proliferate. She is a three-quarter sister to Brideoake’s Group 1 Western Australian Derby winner Grand Journey. Grand Strategy has an unraced 2yo filly by Authorized named Legal Mistress (in training with Brideoake) and a filly foal by Smart Missile. She was covered in 2015 by Darley Victoria’s star new season sire Brazen Beau. In 2014 Brideoake and his family expanded their operations to a separate breeding operation. Known as Roycevale, the farm is located in North East Victoria at Violet Town. It is being managed by David’s son Tom (who previously worked in the Peter Moody stable). Roycevale is home to a number of high class broodmares and will no doubt be home to Griante when she retires. Over the years Brideoake has bred a string of top quality gallopers including stakes winners Shylight, Self Sense and Girante, city winners Thames Court, Our Harmony, Biancon Rose, Jugahlation and many more. 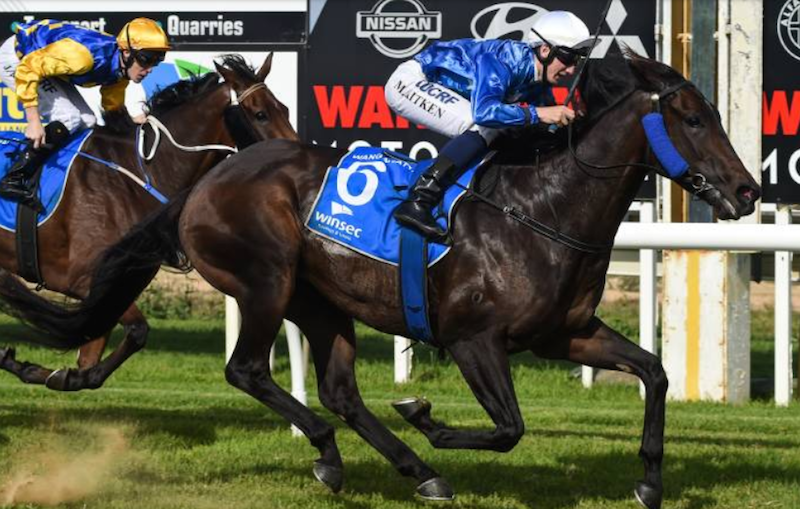 Both two-year-old stakes races held at Perth’s Ascot Racecourse on Saturday were won by Victorian bred or sired horses. Just hours after Written Tycoon colt Capitalist won the Group 1 Golden Slipper, The River and Whispering Brook demonstrated their class with their respective stakes wins. The River (by Eliza Park International sire Magnus) saluted in the Listed Perth Stakes over 1100m. He now has a record of 3 wins and a 2nd in just four starts for prizemoney of more than $320,000. He had won the WA Magic Millions 2YO Classic at Pinjarra last month. Now cemented as the top two-year-old in Western Australia, The River is the favourite for Western Australia’s premier juvenile event, the $500,000 Group 2 Karrakatta Plate on April 2. This was the third stakes winner for Magnus in 2015/2016 and firmly puts him in the Top 20 sires around Australia by earnings ($3.53 million) as well as by winners (74). 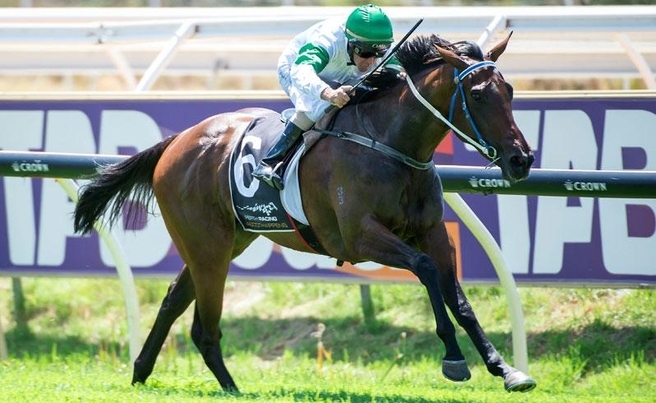 Meanwhile, Whispering Brook, bred by Nagambie’s Hillside Throughbreds, emerged as Perth’s top two year-old filly with a front-running victory in the G3 Gimcrack Stakes (1100m) at Ascot. 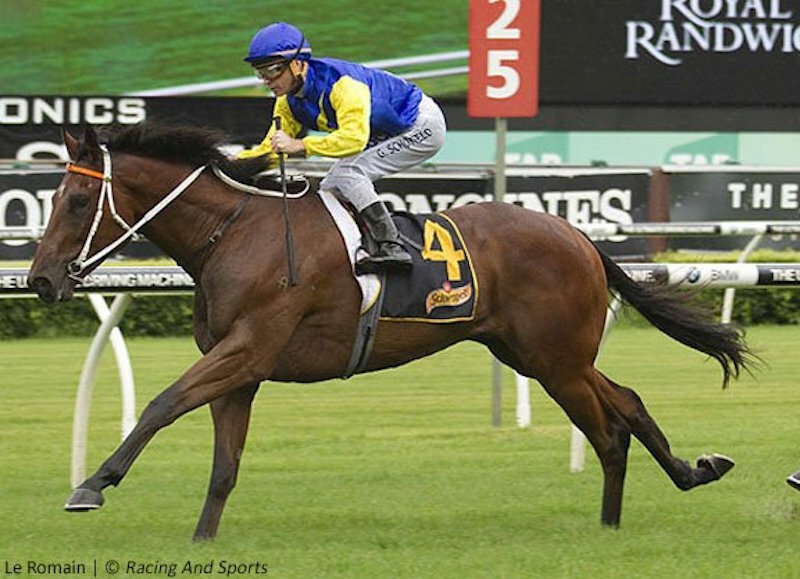 She too is expected to line up in the Karrakatta Plate and will be a favoured runner. Hillside Thoroughbreds owners Peter and Areti Arvanitis sold Whispering Brook’s younger half-brother by Medaglia d’Oro as a foal and he is with Graeme Rogerson in New Zealand. Their USA bred dam Artful Whisper was purchased by Hillside bloodstock manager Peter Ford at the 2005 Tattersalls Sale and she was bred back to Written Tycoon last year. 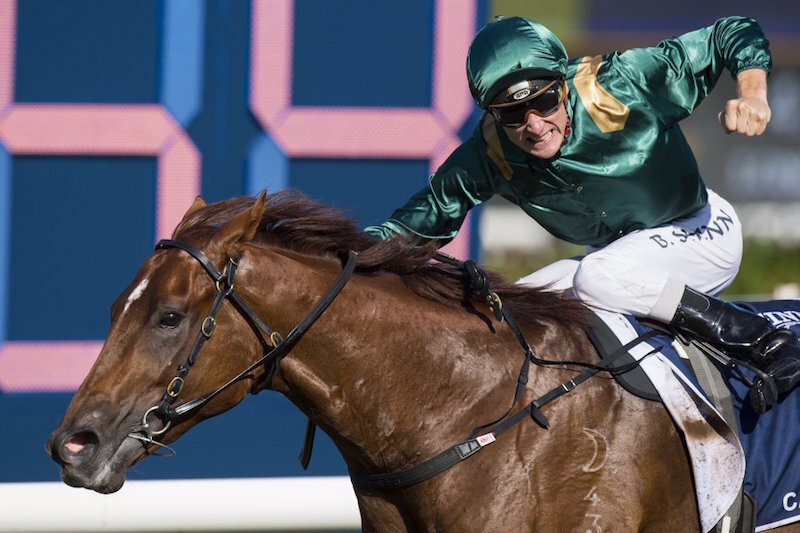 Woodside Park stallion Written Tycoon upstaged the Hunter Valley heavyweights when his champion colt Capitalist captured the G1 Golden Slipper Stakes (1200m) at Rosehill on Saturday. It was the first Golden Slipper win by a sire standing in Victoria since the 1970s when Showdown and Century provided winners. Capitalist is one of 15 stakes winners by Written Tycoon and his first at Group 1 with no doubt many more to come. Victorian sires dominated Australia’s premier breed-shaping race courtesy of Capitalist and Artie Schiller colt Flying Artie who finished third. They took control after Victorian bred filly Sweet Sherry (Bel Esprit) looked likely to cause an upset at the furlong only to fade in the final stages. 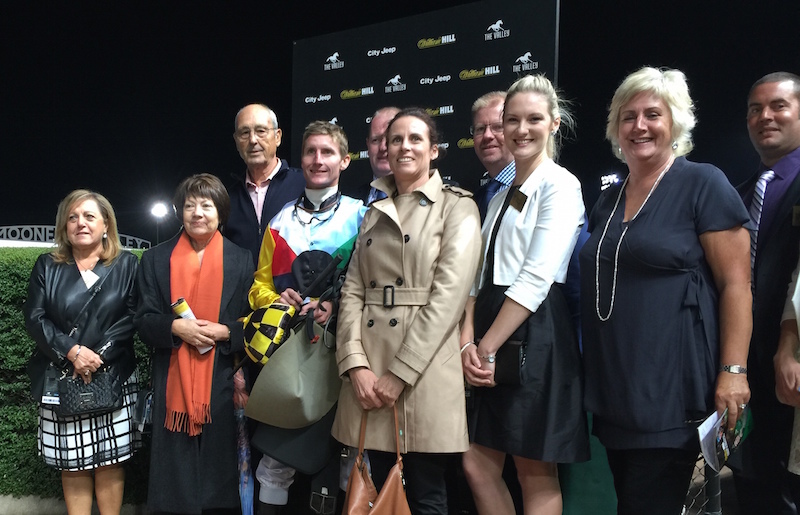 “They went fast and we got a great run along the fence,” jubilant jockey Blake Shinn said. Written Tycoon has the Australian 2YO sires’ premiership all sewn up with earnings of $3.5 million. Capitalist sent him to the top of the table after the Magic Millions 2YO Classic and propelled him out of sight following the Golden Slipper. Capitalist (2c Written Tycoon – Kitalpha by Fusaichi Pegasus) was a short-priced favourite for the Golden Slipper after his Magic Millions triumph but blew out to double figures after a last-start defeat in the G2 Todman Stakes. 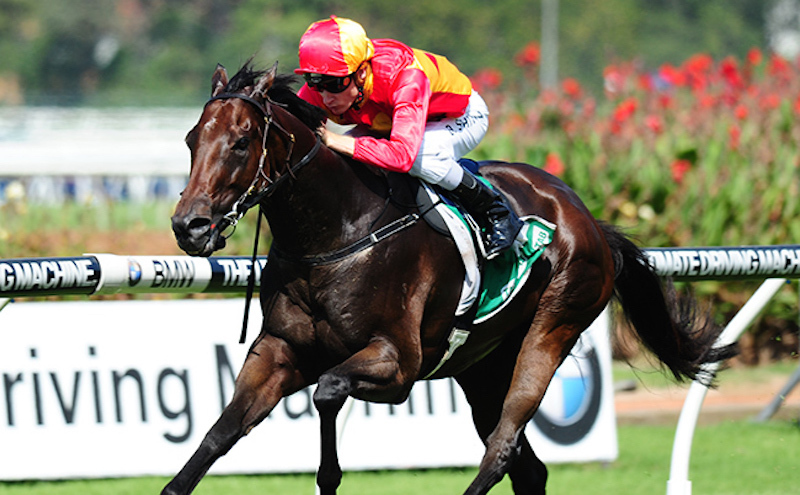 “He’s a superior colt and we’ve always had faith in him,” trainer Peter Snowden said. All up, Written Tycoon had eight winners around Australia and New Zealand over the weekend including the Mick Kent trained Written in the $100,000 Bendigo Gold Bracelet (1400m) and Luna Rossa, an very promising Murray Baker trained two-year-old, at Trentham in NZ. The Woodside Park sire has had a phenomenal 34 wins in the past 30 days with the next best sire during this period sitting on just 22 wins. Another significant afternoon of competition witnessed Emirates Park Victoria sire Artie Schiller (USA) break through $1 million in juvenile seasonal earnings on Saturday. A debut victory by If Not Now When in the $280,000 VOBIS Gold Rush at Bendigo (1000m) plus a highly meritorious third by Flying Artie in the G1 Golden Slipper Stakes (1200m) saw their sire’s juvenile earnings increase by $460,000. If Not Now When scored a determined victory on debut at Bendigo’s stand-alone Saturday meeting. She earned $158,000 for trainer Henry Dwyer and connections after making a mere $15,000 from Musk Creek Farm at the 2015 VOBIS Gold Yearling Sale (incidentally, last year’s winner of this race, The Big Dance, sold for just $750 at the VOBIS Gold Yearling Sale). Dwyer said the filly came cheap due to her small size. “Musk Creek bred her and they do a great job. We broke her in late and never had any reason to tip her out. We kept her going the whole time and she did everything right along the way. She’s very professional and is lapping up being a racehorse. If Not Now When is a half-sister to Canterbury winner Destined To Win (Dane Shadow) and Musk Creek sold their Stratum half-brother for $85,000 at this month’s Inglis Premier yearling sale. Flying Artie has been placed in the Blue Diamond and Golden Slipper and trainer Mick Price is hoping he can prise a Group 1 in the $1 million Inglis Sires’ Produce Stakes (1400m) at Randwick on April 2. “He’s come through the Golden Slipper well enough to suggest he could run at Randwick,” Price said. Artie Schiller has sired four individual two year-old winners this season for $1,103,965 in prizemoney. Saturday’s income, which also included $50,000 for Good Standing’s effort in the Golden Slipper, consolidated his position in fourth place on the Australian 2YO premiership. Artie Schiller three year-old Duty Dude was also very impressive winning his maiden at Kembla Grange on Saturday. He’s trained by Gerald Ryan and is bred on the same cross as Flying Artie, both being maternal grandsons of Rubiton. 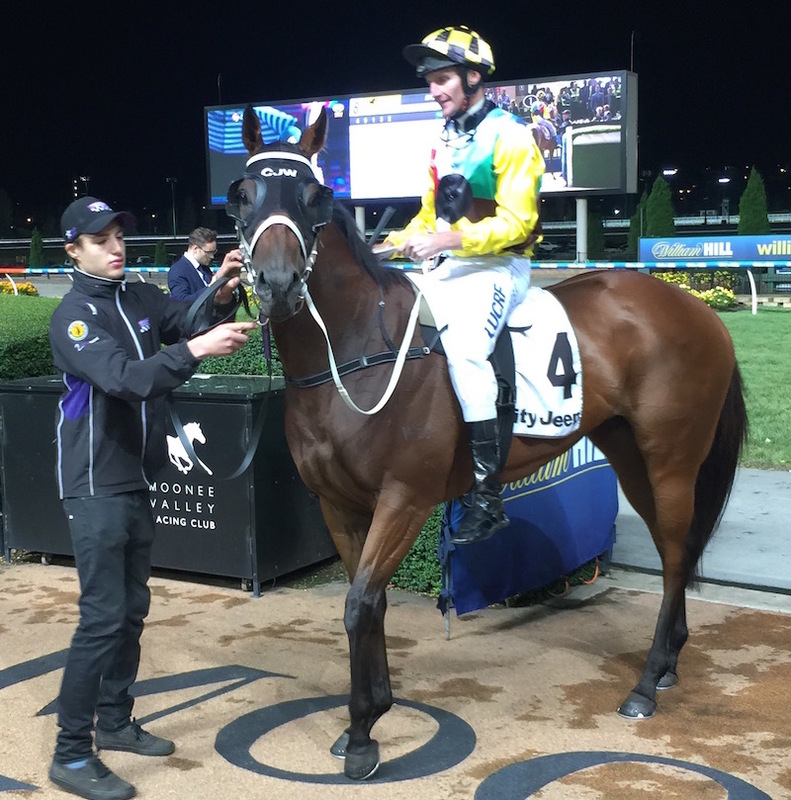 French Emotion completed a successful Friday for Victorian breeders with a brilliant victory in the TBV Newmarket Grandwest Hcp (1200m) at Moonee Valley on Friday night. The Moonee Valley race was sponsored by TBV’s partner Newmarket Grandwest, Australia’s leading provider of equine insurance, which many some of Victoria’s best breeding operations as its clients. It was the fourth straight victory the Snitzel mare and her owner-breeders Valda Klaric & Ivan Cajkusic who carry out their breeding operations at Millford Thoroughbreds in Avenel. The four year old mare is trained by Chris Waller. In his first five starts in NSW, the mare ran either 2nd or 3rd. But since being transferred to Waller’s Flemington stables, she has now got a perfect record of four wins from four races. French Emotion is out of the Woodman mare Love and Emotion. She is also the dam of the speedy Love for Ransom who was formely trained by Greg Eurell to run in a Thousand Guineas. Valda and Ivan have retained French Emotion’s yearling half-brother by Darley Victoria sire Domesday as well as a two-year-old half brother by Onemorenomore. Millford had further reason to celebrate on Saturday when Arcadia Dream and Heart Starter both won Listed races at Ascot Racecourse, Perth. Owned and bred by Bob Peters, both were foaled and raised at the Avenel farm before going to Western Australia for their racing careers. The two three-year-olds are now both favourites for the Western Australian Oaks and Derby respectively coming up in April. Rosemont Stud sire Toorak Toff moved off the mark with his first winner at Pakenham on Thursday. His Clinton McDonald-trained filly Pop had been unplaced in two previous runs in stakes company and appreciated a drop in class and step up in distance for a stylish one-length victory in the PRC Functions & Events Maiden (1400m). “That was a good win – she showed us a bit early on but some of the others were just a bit sharp (at Flemington),” winning jockey Damien Oliver said. “Clinton identified that and planned the easier option over a longer distance today. A $90,000 graduate of the 2015 Gold Coast Magic Millions from Amarina Farm draft, Pop is the first foal for stakes-placed Very Cherry (Anabaa). The mare has followed up with two colts by Snitzel and was bred back to More Than Ready in October. There have been 6 runners to date by Toorak Toff including Pop’s stablemate Hollywoodgirl who was placed at Bendigo in December. A Toorak Toff colt out of Rosemont’s mare Lady’s Light (dam of Group 1 winner Alboran Sea) has recently made his public trial debut at Hong Kong and ran a spirited second. Named Strathclyde, he was sold at the Inglis Easter Sale for $300,000 last year. Toorak Toff (Show a Heart) was a Group 1 winner of the STC Golden Rose and MRC Sir Rupert Clarke Stakes before retiring to Rosemont in 2012. He covered 70 mares at a $16,500 (inc gst) fee last year. A dual Group One winner in the Melbourne spring who raced out of Victoria’s most successful stable, Trust In A Gust has been retired and will start stallion duties this spring at Swettenham Stud at Nagambie. This really is a case of the home-bred returning home. Foaled down at Swettenham’s Nagambie farm in 2010, Trust In A Gust is by former resident Sunday Silence stallion, Keep The Faith. Trained by Darren Weir, Trust In A Gust became a poster boy for Melbourne’s spring when he first captured the Group 1 Rupert Clarke over 1400m at Caulfield before next start doubling up at elite level with a victory in the time-honoured Toorak Handicap over 1600m. The Rupert Clarke, in particular, figures prominently as a ‘stallion maker’ with Encosta de Lago, Testa Rossa and Exceed And Excel all taking out the race, while rising Victorian sires such as Turffontein and Toorak Toff were also winners of the race which tests both speed and strength. “Trust In A Gust showed plenty of promise from the start but really hit his straps as a three year old, with six wins and two seconds from 10 starts” his trainer Darren Weir commented. 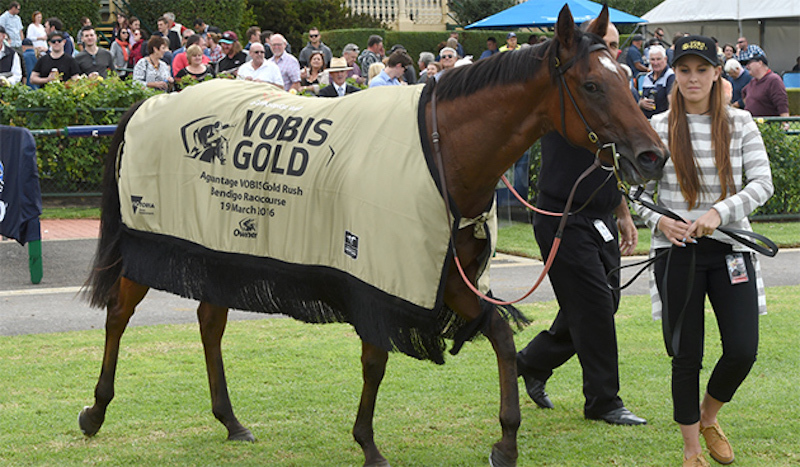 It was in his three year-old season that he became the poster boy for VOBIS racing winning the VOBIS Gold Eureka, VOBIS Gold Star and the VOBIS Gold Carat at Caulfield. Notably, he was also second in the $250,000 VOBIS Gold Rush in his racing debut (as a two year old). “This is the ideal VOBIS stallion and don’t let anyone kid you, one of the first things a trainer looks for at a sale is the VOBIS sticker!” Weir said. 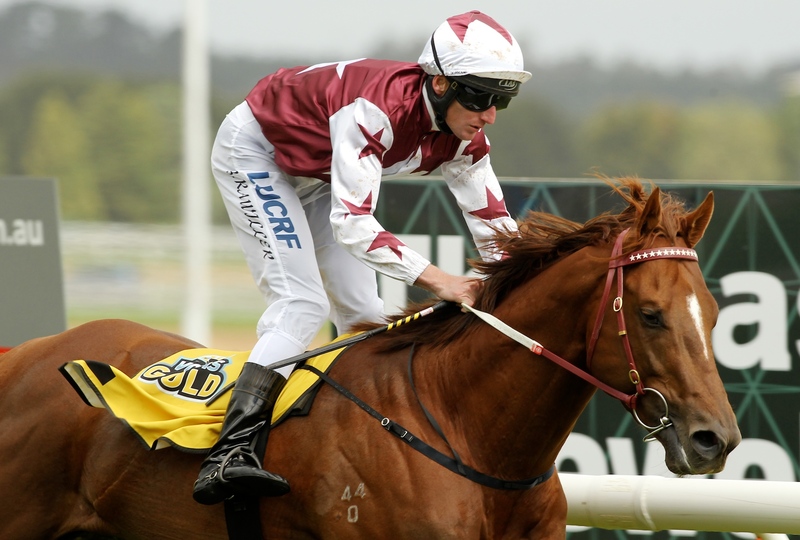 Trust in a Gust finished up his racing career with 10 wins and over $1.1 million in stakes including victories over top liners such as Australian Horse of the Year Dissident, multiple Group One winner Lucky Hussler and Galaxy winner Sweet Idea among others. He is the most successful son of the popular Keep The Faith, a renowned source of precocious types. What’s more, his dam Subtle Breeze – by world champion sire, Storm Cat – is a three quarter relation to European Horse of the Year, Balanchine. Trust In A Gust will stand at an introductory fee of $12,500 inc. GST while lifetime breeding rights are also available for just $25,000 inc. GST. Meanwhile, there have been a few personnel changes at Swettenham Stud. 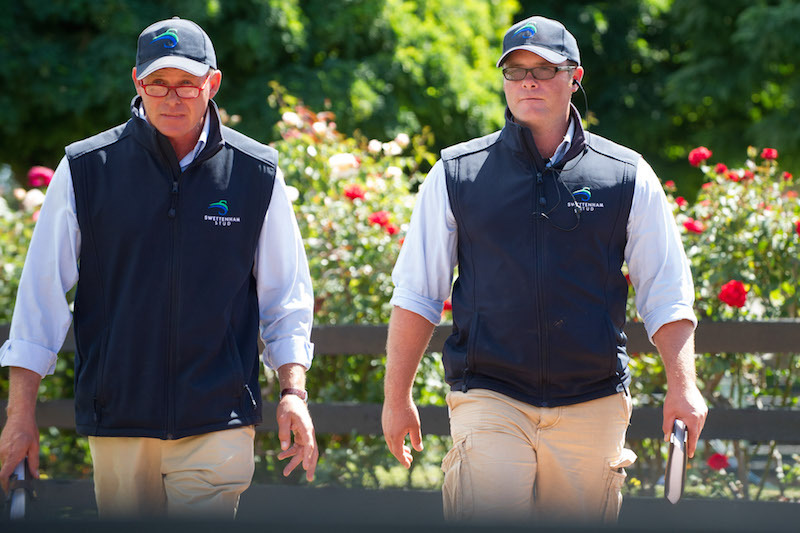 Brian Gorman has been appointed to the position of General Manager having been an integral part of Swettenham Stud over the past three years. Brian brings over 30 years of bloodstock experience to the team and his key responsibilities will be in Sales and Marketing and leading the bloodstock division which will include nomination sales. Tim Jones has been promoted to Operations Manager. Tim has been with the business since 2005 and is committed to the culture and learning from his predecessors. Rachel Spriggens has been appointed to a supporting role to the General Manager. Rachel has a life-time of experience in the thoroughbred industry. Originally from New Zealand, Rachel has worked in both New Zealand and Kentucky and joins Swettenham at an incredibly exciting time.